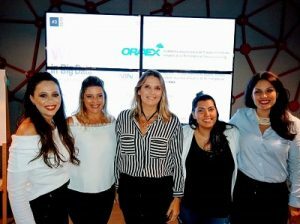 Kicking off the event, Tina Rosario, Director of the Women in Big Data EMEA region, gave a few welcoming words and invited everyone to share in aperitifs and conversation. 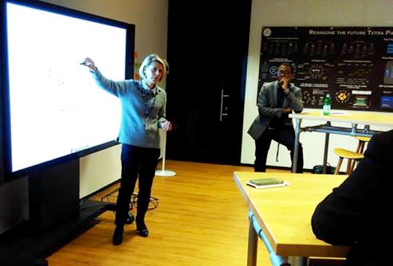 Shortly thereafter, we adjourned to the 20th floor conference room, where Nathalie Dietz, Co-Innovation LAB Consultant, delivered a presentation about the about design thinking, and about the solutions the Leonardo product delivers for problems in data management and analytics. 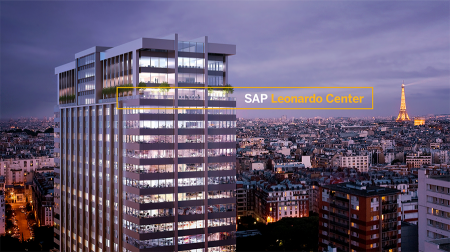 Click here and here to learn more about Leonardo, and click here to take a look at a free online SAP Build tool. Diversity hiring practices. 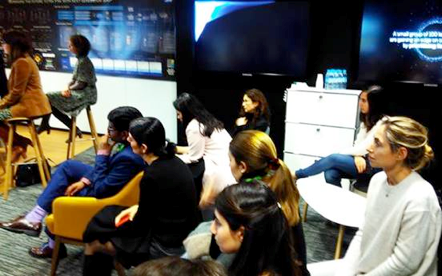 Remy Chambard-Williams, Consultant SAP PPM at SAP France, elaborated on the tendencies to hire people who are either similar to you or to the team member who is leaving. Both practices are common and obstruct diversity hiring. Low percentage of women on boards of tech companies. The upside of the industry: passionate people work long hours–including parents of both genders; many companies have programs in place to address such challenges. Question: Why women? Why Big Data? How do you work with similar groups (women in tech, women in AI)? Answer: First, Big Data and analytics is a growing sector, and there is an increasing shortage of talent (ranging from very technical to managerial roles). Women constitute 50% of the population and should not be excluded from these career opportunities. Secondly, women tend to do really well in career tracks that have positive social impact, and Big Data field provides multiples opportunities of this kind, and many roles where human judgement and not losing the big picture are crucial skills. Question: Do you collaborate with other meetups in Paris dedicated to Big Data and analytics fields? Answer: We are all working towards the same good cause of retaining and helping women grow in the tech sector. We already are in sync with other groups in Europe, and we are open to establishing new connections. Question: What are WIBD EMEA objectives for 2018? Answer: There are several: We want to create a solid webinar/technical training roadmap, continue expanding our presence across Europe, and build a strong community. We’re also committed to understanding how we can best meet the specific needs of women in Europe, and adjusting our activities accordingly. Question: What types of events you are organizing? What’s the ratio between face to face (meetup) and virtual (webinar) events? Answer: Local events are driven by the chapters and the online webinar roadmap covering EMEA. 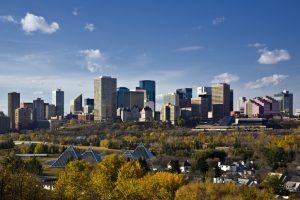 The ratio varies depending on the specific location and how active the local community is. Question: What are the elements of corporate culture that make a company a great place to work for women? Answer: An Open dialogue about diversity, as well as a formal program aimed at addressing the unique challenges women face. Answer: Follow us on MeetUp, register as a member on our site, join our LinkedIn group, and check our global Twitter updates. Questions? Send an email to anna.marchon@intel.com. Overall, about 30 people attended, and we had a diverse group in terms of age and experience levels. We were happy to see a few men, and one of them, Peter Doherty, highlighted this meetup and WiBD community on his blog, adding a few thoughts on gender equity and men’s role in promoting diversity. As a rule, WiBD events are open to men who care about diversity as well as about technical topics, and we are open to male advocates delivering training, keynotes or joining the team. Many thanks to all who attended, and we hope to see you next time!